This is what READ is about: promoting reading among youth, in particular the disadvantaged ones, through creative activities and non-formal approaches in order to foster their social inclusion. 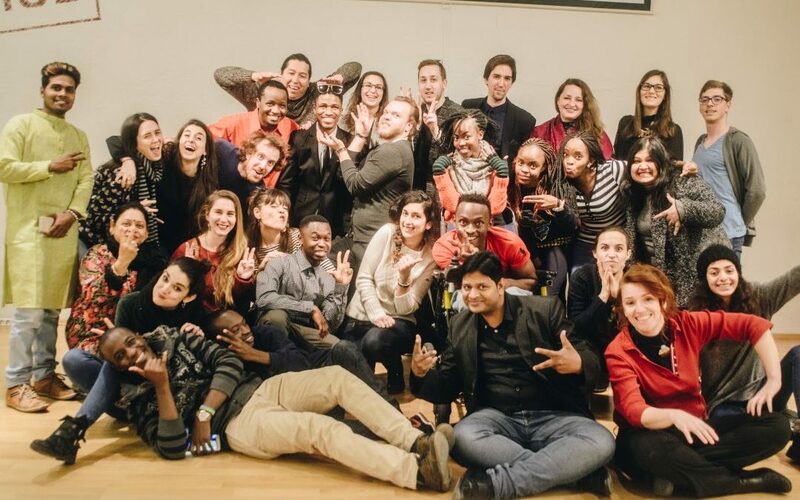 Youth workers and young people from Italy, India, Kenya, Slovenia and Austria met in Vienna (Austria) for the Final Workshop and Festival of the READ project. People already involved in the READ local educational activities who wanted to share their experience and the work done in their countries. An intense week that made us creating together! Guided through non-formal and team-building activities, each country shared their own local experience and learnings in multinational mixed groups. We tried to identify causes why reading is not appealing enough to young people and brainstormed about potential solutions as well as ideas how to encourage a new way of approaching reading as a creative, inspiring and fulfilling activity, using different channels, tools and medias. At the end of the week, we have organised the Final Festival to present the READ journey and the tools develop during the 7 days spent together as well as the almost two years of project. It has been the occasion to present the achievements, results, activities as well as the work done by each partner in their local communities to the public. In the next weeks, we will publish the READ OER with all the activities and tools developed within the project. READ – Reducing social Exclusion through a creative approach to reADing is co-funded by the European Commission through the Erasmus+ programme, KA2 Capacity Building for Youth. To receive further information on the project, check our website www.readproject.eu or contact cooperation@danilodolci.org.